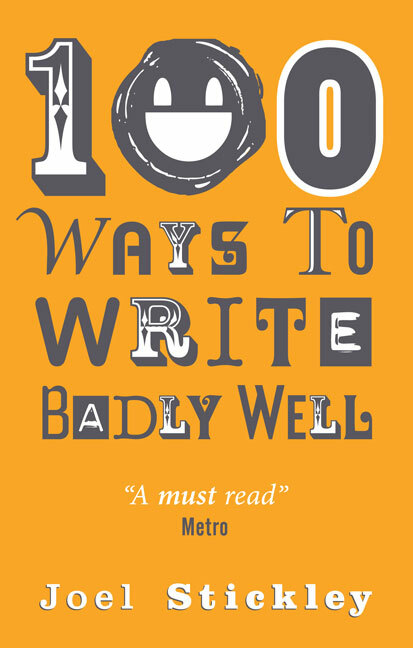 With 100 Ways To Write Badly Well safely published and available to buy, I’m trying my hand at something new. For the most part, this blog has focused on the bad writing of fiction – implausible plot twists, awkward turns of phrase, unconvincing characters and so on. Meanwhile, non-fiction has got off all too lightly. It’s time to do something about that. My new podcast, The History of Grob, is an attempt to tell the story of a fictional nation from the bronze age to the modern day and beyond. It will feature people, places and historical events which are entirely false, or at least significantly misrepresented. I will post each episode on this blog as it is released, but you can also listen to it at Soundcloud or subscribe to the podcast on iTunes or via the xml feed. I hope you enjoy the podcast and feel that it does justice to this blog’s tradition of ridiculous and flippant self-indulgence. 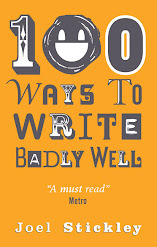 I am delighted to announce the publication of the book 100 Ways To Write Badly Well in both paperback and ebook. It’s a collection of some of the best bits of this blog along with a bunch of new pieces and it would make an excellent gift for any aspiring writer (even if that aspiring writer is yourself – go on, gift-wrap it and surprise yourself). You can buy the paperback at nastylittlepress.org and the ebook at momentumbooks.com.au. The paperback is beautifully designed, has a great cover and would make a fine addition to any bookshelf, whereas the ebook is fantastic value and you can have it in your hands instantly. Personally, I think you should buy one copy of each, but I understand that I may be biased. The book wouldn’t have been possible without the support and feedback that I’ve had from all of you since I started this blog, so I’d like to take this opportunity to offer my sincere and exhaustive thanks. With your help, what started out as a pointless, frustrated satire gradually became a genuine celebration of the art of bad writing. Still pointless, of course, but joyously so.